Following her tragic death in July 2011, Mitch Winehouse wants to tell her incredible story in full. "Amy, My Daughter" will take the reader through her mischievous early years, her rise to stardom and to her much publicised struggles with addiction. The book will bring the many layers of her life together - the personal, the private and the public - to create a fitting tribute to his much loved daughter. 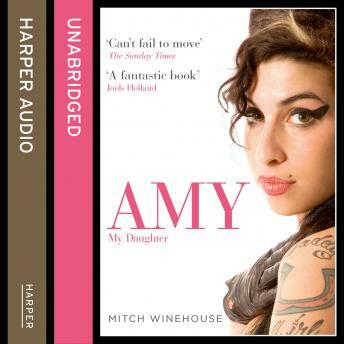 Using exclusive extracts from the diary Mitch kept that details shocking and concerning events in his daughters life alongside never-before-seen photos of Amy, taken from the family album, "Amy, My Daughter" promises to be the definitive book on an iconic figure who, although tragically taken at an early age, has left a musical legacy that will enthral audiences for many years to come. All proceeds from the book will be donated to The Amy Winehouse Foundation, the charity that Mitch has established in Amy's name to help children and young adults facing difficulty and adversity in their lives.